While hybrid cloud has been a mainstay discussion in the cloud world for quite some time now (note this post of mine on hybrid cloud from 2011, when CloudStack was still Cloud.com), the reality is that setting up hybrid cloud has proven a fairly complex process. Therefore we've seen only a few real implementations of true hybrid cloud in the wild. In this post, I wanted to describe the joint work that we've invested together with the VMware cloud team to change this reality and finally make the hybrid cloud story simple and possible. While most public clouds started as independent public cloud services, and only later started to add private cloud connectivity; the exact opposite is true for vCloud Air, which was designed primarily as an native extension of VMware private cloud. In this context, users are able to use the same tools currently in use to manage their local VMware environment in order to manage their public cloud resources, as well. This makes the hybrid cloud story significantly simpler, as there is no longer the need to worry about the connectivity between the two sides of the data center, and at the same time we get the cost benefit of using resources on-demand on a pay per use basis. The ability to make hybrid cloud so simple fit well with the Cloudify pure-play orchestration vision, and made the integration with the two platforms a perfect fit. In this post I wanted to spend some time on what that means for VMware and OpenStack users. vCloud Air users needed a simple way to deploy and manage their applications on vCloud Air using DevOps tools similar to Amazon Cloud Formation. As the landscape is still being shaped, and there’s no clear winner yet, it is very important for these users to have tools that will allow them to keep their options open. TOSCA seemed to be a great fit in such a context, as it provides a standard templating language that doesn’t tie users into a particular platform. On top of this, TOSCA orchestration also aims to go beyond the installation part of the application and covers all the aspects of the application lifecycle through the addition of workflows and policies that can be used to handle continuous deployment, self-healing, and auto-scaling processes. 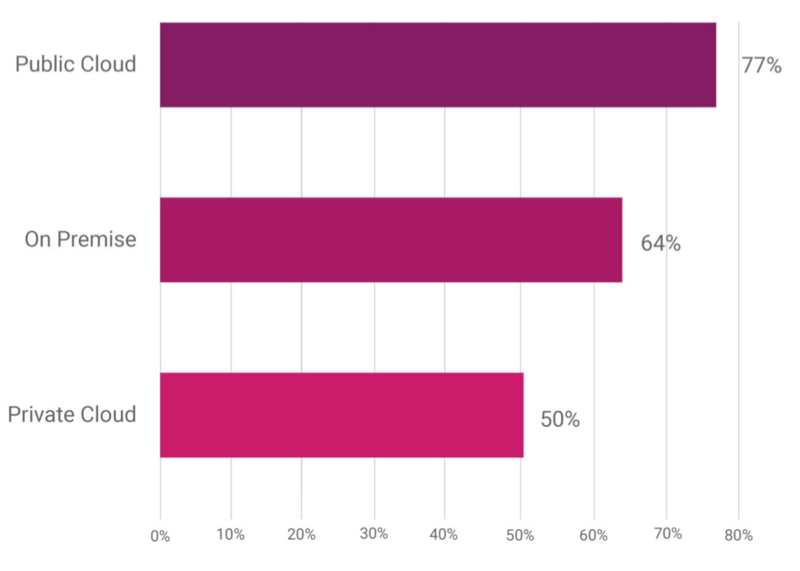 On a similar note, many Cloudify users comes from Enterprise and Telco markets. Such users are already heavily invested in VMware. These customers are actively looking for a more agile and cost effective way to run their data center. The ability to bring capacity on demand seamlessly into private cloud makes the entire private/hybrid cloud story truly attainable. By putting vCloud Air, TOSCA and Cloudify together we’re getting the cost benefit of using on demand resources for our private data center in a way that doesn’t tie us to a specific platform and at the same time provide a more complete application lifecycle and management solution that enables full automation of our deployment and DevOps processes. VMware provides three kinds of platforms today, the vCenter/vSphere environment that serves many of the enterprises data centers today, and VMWare Integrated OpenStack, which provides API compatibility with OpenStack for vSphere/vCenter environments. Cloudify comes with native TOSCA support through plugins that allows you to use TOSCA blueprints as a templating language across both vCloud Air, vSphere and OpenStack that provides a consistent way to manage applications across all three environments. On top of this, it also makes it simple to build mixed resources of all three environments all with the same blueprint. Having pure-play orchestration and management that is backed by an industry standard, TOSCA, enables the decoupling of the way to manage applications from the underlying infrastructure. While there is still the need to rely on specific APIs and features of the specific infrastructure, they are now at a point where the cost of the switch isn’t as significant compared with the alternative of binding themselves directly into the specific underlying infrastructure. Many OpenStack users are Enterprises and Telco customers who are known to be heavy users of VMware platforms. This integration makes the ability to mix and match existing VMware environments together with OpenStack and vCloud Air, providing greater flexibility to decide which applications and workloads fit best in which environment while using common and consistent management for their applications across environments. Through our partnership with VMware we’re planning to make this integration simpler for vCloud Air users by allowing them to use TOSCA directly through the vCloud Air public cloud service. In addition, the plan is to make the hybrid cloud story between vCloud Air, vSphere and OpenStack as seamless and simple as possible so we will be adding more examples and tighter integration for all three platforms. The main disadvantage of this approach is that it creates a completely different OpenStack implementation, which has some serious differences in its implementation and behavior from the original open source version of OpenStack - specifically in the way the compute nodes are managed. We reduce dependency risk - With this abstraction we’re less vulnerable to a specific infrastructure and we keep our options open to move or add new environments as needed. In the previous post I outlined what I mean by native-approach to the OpenStack cloud. In a nutshell, a native approach represents out of the box tighter integration with OpenStack, all without being limited only to OpenStack. In this post I want to share some of the stories behind the design of Cloudify 3.0 and the approach that we have taken to make Cloudify *native* to OpenStack. I would first start by outlining our motivation behind this approach. Transitioning to OpenStack is a long journey - Many enterprises have VMware-based stacks as their core infrastructure. Where many of these organizations have often started their journey toward OpenStack by creating a dev environment, and then gradually moving more workloads into their OpenStack environment as they get more comfortable with it. This process usually spans over months and possibly even years. It became apparent to us, that during this time these customers would still be using VSphere and VCloud in parallel to OpenStack. For such users, having a common platform to manage their app deployment across two environments can smoothen the transition and also reduce the risk of getting stacked if one of the environments doesn’t meet their needs. The public cloud market is going to be dominated by non-OpenStack clouds - while OpenStack is on a trajectory to dominate the private cloud market, the public cloud market looks quite different with AWS as a strong and long-standing leader and other major clouds emerging such as GCE and Azure - hoping to close in. Many organizations wouldn’t want to host their entire data center on a private cloud, and would therefore need to take a hybrid cloud approach. In order to support hybrid cloud, we had to include an abstraction layer that will allow us to integrate with clouds other than OpenStack. At the same time we wanted to have a more intimate integration with OpenStack in order to leverage the fact that it is open source and allows for a deeper integration with its core services. Through that we were able to enable smooth and simple integration of Cloudify into OpenStack. Cloudify 2.x already took a step toward deeper integration with OpenStack and we were one of the first to announce our support for OpenStack. Recently, we also added support for OpenStack Neutron. We realized that if we want to make Cloudify fit natively into the OpenStack infrastructure it is not enough to have integration with the OpenStack components. We also need to ensure that the design behind Cloudify will be consistent with the way other projects and services of OpenStack are implemented. This led us to the conclusion that we wouldn’t be able to be a first class citizen with OpenStack unless we underwent a major redesign of Cloudify. Our first step in this direction was to move from Java to Python. Moving to Python wasn’t as painful as you would think for us, because many of our developers already knew the language. This decision quickly proved itself, as it became much simpler not just to develop the new version of Cloudify faster, but it also enabled us to join other OpenStack projects as well as reuse some of the same components and frameworks that are already used by OpenStack. Many of the products that declare support for OpenStack mostly integrate with the compute API (Nova), and quite often come with their own security, messaging, configuration, and other such considerations. We felt that this is not enough, and doesn’t fit in with the way other services are built within OpenStack. Hence, we decided to deepen our integration with other services such as Keystone, Neutron, Heat and later with Ceilometer, Mistral and others. Cloudify 2.x was designed around a proprietary Groovy-based domain specific language (DSL) for defining application topology and configuration. It became apparent that the DSL had become a central piece of Cloudify architecture. As a result, maintaining a proprietary DSL would only serve as a barrier going forward. TOSCA (Topology Orchestration Specification for Cloud Applications led by the Oasis Foundation) defines a standard templating language. TOSCA was similar and richer in concept to our previous 2.x specification. Because of this, using TOSCA seemed like a natural evolution. At the time when we decided to use TOSCA, the specification was provided in a fairly complex XML. Our first step for adopting TOSCA was to come with a simplified YAML based version which better fits into the spirit of OpenStack. After the OpenStack summit in Hong Kong, when we first introduced the idea, it became apparent that members from the Oasis group were already thinking along this line.We decided to join forces and join the Oasis organization. We started working with the team to incorporate TOSCA as an official part of OpenStack. During the Atlanta summit, it was decided to integrate the TOSCA project into the Heat project and now there is an official definition of the TOSCA 2.0 specification based on YAML. Our goal is to use the TOSCA 2.0 specification as the official templating language for Cloudify instead of our current TOSCA like DSL. OpenStack is growing, and with this the services that are included as part of the core OpenStack project continue to grow up the stack. One of these services is OpenStack Heat, which started as the equivalent of Amazon Cloud Formation, and is becoming more of a general purpose infrastructure orchestration these days. We realized that since Heat is closely integrated with OpenStack it will follow the OpenStack release cycles and API, and therefore would provide a useful tool for setting up the OpenStack infrastructure. The approach that we have taken with Heat is an “overlay approach”. This means that users can use Heat as they do today to set up their infrastructure. Then, Cloudify integrates with Heat in a way that will allow it to discover any resource that was provisioned through Heat, and ultimately add the monitoring, logging and software stack on top of that environment. Networking becomes a core service in any cloud deployment. Networking refers to an element such as security-group, private IP, floating IP as well as routers, DNS, vLans, load balancers, and such. Cloudify 2.7 included basic integration with Neutron that allows users to attach floating IPs and set the availability zone configuration. With Cloduify 3.0, we included support for all the networking elements and can now create vLans, security groups and more, as part of the application deployment. Application orchestration often requires intimate and continuous integration with the application so that it can detect failure in sub-seconds and take corrective actions as needed. This often imposes a more complex scalability challenge. Cloudify 2.x uses a hierarchy of managers, where each manager controls 100+ nodes as a scaling architecture. One of the things that we have experienced over the last year is that there is a growing class of services such as Big Data and NFV. With these services, a single service can be comprised out of more than 100s and potentially even 1000s of instances. This is why the manager of managers approach didn’t fit well to these use cases. To enable scaling of 1000s of nodes per manager, we decided to use a message broker approach based on AMQP as well as to separate the provisioning, logging and real-time monitoring tasks into separate services that can scale independently. This allows us to also control the level of intimacy between the Cloudify manager and the application services. As an example, we can tune Cloudify to handle the provisioning and logging only, and use the real-time information that has already been gathered by the infrastructure. This is especially important in the context of OpenStack, as we expect that a large part of the metrics can be gathered through the infrastructure itself. One thing that has become clear through the various OpenStack statistics based on their annual survey, is that many of the OpenStack users are using a toolchain that is comprised of tools available through OpenStack infrastructure, as well as tools that are not specific to OpenStack such as Docker, Chef, Puppet, Ansible, JClouds and others. Integrating all these tools as part of a deployment system becomes a fairly complex task that can takes weeks and even months. We realized that if we want to provide a full lifecycle management of the application, it wouldn’t be right to force a particular stack or toolchain on a user, but rather provide an open pluggable architecture that could enable you to easily integrate your choice of tools into the same deployment. With Cloudify 2.x we included support for Chef, Puppet and also had a cloud driver that allows us to integrate with various cloud infrastructures, as well as with tools like JClouds. With Cloudify 3.x we created a more generic plugin architecture that allows users to plug in almost any element of their application, starting from the cloud plugin to configuration management, orchestration, monitoring etc. To make this simple we included a Bash plugin that provides a simple framework for integration with external tools, just by pointing the plugin to the relevant Bash script. In this post I thought sharing the story behind the scenes that we went through to make Cloudify OpenStack native, and the rationale and decision process behind them, would be relevant to other users that are considering their OpenStack strategy. Especially for those still deciding how deep they should integrate with OpenStack. The good news is that, it is quite possible to integrate natively with OpenStack without limiting yourself only to OpenStack. Having said that, the initial investment required to get there is quite big. I hope that this lesson from our own experience will save others time. OpenStack Silicon Valley is just a few short weeks away and we are looking forward to talking OpenStack with the local community. A main focus for Team Cloudify at the event will be around the topic of portability AKA hybrid cloud, not only between environments, but also between OpenStack and non-OpenStack environments. In July we announced the release of Cloudify 3, a complete rewrite and redesign of Cloudify. This change provides an intelligent orchestration and management platform that is even more compatible with the open source world of OpenStack. The platform is designed to integrate with any tool chain and provide interoperability across stacks and environments. Transitioning to OpenStack is a long journey - Many enterprises are based on VMware as their core infrastructure. Often, those organizations begin their journey to OpenStack by creating a dev environment and gradually moving more of their workload onto OpenStack as they become more accustomed to the new environment. This process typically spans the course of months and sometimes years. It is clear that during this period of transition, customers will continue to use vSphere and vCloud in parallel with OpenStack. For those users, having a common platform with which to manage their app deployment across those two environments can ease the transition and reduce the risk of hitting a roadblock if one of the environments does not meet their needs. The public cloud market is going to be dominated by non-OpenStack clouds - While OpenStack is on a trajectory to dominate the private cloud market, the public cloud market is led by AWS with other major clouds emerging, such as GCE and Azure. Many organizations would not want to host their entire data center on a private cloud and would, therefore, need to take a hybrid cloud approach. In order to support hybrid cloud environments, an abstraction layer is needed to enable integration with clouds other than OpenStack. While we strongly believe in the necessity of supporting hybrid deployments, the integration with OpenStack was a major consideration when redesigning the Cloudify platform. By switching to Python code, developing compatibility with Heat and supporting the TOSCA specification, Cloudify is now more than ever more deeply integrated with OpenStack’s core services. This deeper integration with OpenStack technology makes Cloudify even more equipped to handle the task of multi-cloud deployment and management between OpenStack and not-only-OpenStack environments. Open Cloud Deconstructed. 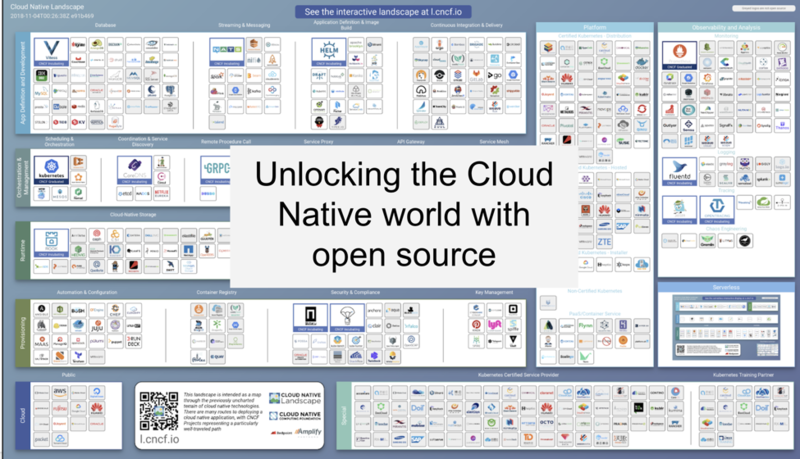 What does it mean to be OpenStack Native? Integration with OpenStack core and infrastructure services, which usually includes this full OpenStack component list - as well as those that are continually being developed and added with every release. Follow the OpenStack design principles - OpenStack is written in Python and uses a certain stack for messaging, database and such . To be OpenStack native you should align yourself with the OpenStack design principles as closely as possible. OpenStack StackForge is an incubation framework that allows you to add new projects into the OpenStack ecosystem. StackForge uses the same set of tools and frameworks that are used to develop the core OpenStack services, and as such it allows smoother transition from an incubation project into the core services. That makes this option more relevant for projects that are likely to be included as an OpenStack core service once they've successfully passed the incubation stages. OpenStack Marketplace - The marketplace is a web directory that lists the various ecosystem players and their OpenStack solutions. Currently the marketplace is focused on OpenStack distros, training, consulting and drivers, and doesn’t cover solutions on top of OpenStack. Prediction has always been a fun exercise. It forces you to take a step back from your day to day activities, look at the market "crystal ball" and figure out what the future looks like. This year I found this exercise to be particularly difficult as the amount of new innovation and conflicting trends that are taking place at the same time can be very confusing. After spending quite some time reading market analyses from different sources (see references at the end) and compiling them with all the things I've seen and heard throughout the year, I came to the following observation on how 2014 will look for Cloud and Big Data. I'm happy to exchange thoughts on that regard and learn how you envision 2014 will look. Traditional enterprise players, such as IBM, HP, Cisco and Red Hat, continue to fight for the remaining share of the market, mostly around enterprise adoption. Yet, enterprises have been slower to embrace and execute on private cloud strategy. Part of the reason for slow adoption is the gap between the solution provided by most of the regular contenders - who are still competing on selling an end to end story - and the reality that most enterprises are looking for Open and Hybrid cloud strategy, especially given that there is no clear winner. OpenStack is now high on the radar for Enterprise Cloud, mostly threatening VMware's strong leadership in that domain. Most of the main contenders have embraced a strong OpenStack strategy, including Red Hat, Ubuntu, Suse, HP, IBM and Cisco, with Cisco taking a surprising leading position over IBM and HP, according to a recent Forrester survey. VMware's response of embracing OpenStack is still questionable, as the transition to OpenStack is not only about technical integration, but also involves a big shift in the value chain. More enterprises are less keen on paying high cost for hypervisor licenses, which is to date the main revenue channel in the VMware pie. Having said all that, the remaining challenge of enterprises is to break the IT bottleneck. This bottleneck is created by IT-centric decision-making processes, a.k.a "IaaS First Approach," in which IT is focused on building a private cloud infrastructure - a process that takes much longer than anticipated when compared with a more business/application-centric approach. One of the ways to overcome that challenge is to abstract the infrastructure and allow other departments within the organization to take a parallel path towards the cloud, while ensuring future compatibility with new development in the IT-led infrastructure. Enterprises with legacy environments and customers take a two-step approach. They first tackle continuous delivery - automating the packages of their software deliverable and keeping tighter control over new production rollout. Once enterprises feel comfortable with their process and environment, they will automate the entire deployment process into production. There are many advancements happening within the Big Data/NoSQL domain that I'm not going to touch on. I will focus on two main areas that are close to my work. Flash disk pricing changes the economics behind the cost/performance ratio of disk-based solutions, making it possible to achieve the performance of an In-Memory-based solution at a price closer to a disk-based solution. So far, attempts have been made to use flash disks as a fast disk alternative to magnetic drives. This path inherits many of the limitations of a disk-based drive and, therefore, doesn't capture the full potential of flash disk which, like RAM, can provide highly parallel access to data. In some cases, the combination of memory-based solutions is also integrated with existing Big Data frameworks and, thus, provides seamless performance acceleration. A good example is GigaSpaces' integration with Storm and GridGain's integration with Hadoop. The most interesting indication that real-time analytics is becoming mainstream is Amazon's support for real-time analytics, with many of the existing analytics solutions providing real-time analytics capabilities as built-in parts of their reports. Another good example of that is Google Analytics Real Time View. Networking - The networking segment of IT is experiencing a major disruption as of late with the move to Software Defined Network, OpenStack Neutron project and Network Function Virtualization. These developments will change networking from not only a technology perspective, but they are also driving a completely different business model which will be based on utilization or a subscription-based model. Linux Container - Linux containers are gaining interest both as light-weight software packaging as well as VMS's. The most commonly used use case for Linux containers has as an underlying container for PaaS. With the introduction of new projects, such as Docker - which makes the Linux container easy to use, we will see wider and more pervasive use of containers as high performance virtualization, as packaging tools in continuous deployment scenarios, etc. Bare Metal Cloud - Bare metal cloud has been a small niche in the cloud space, mostly due to the fact that it is usually offered in a static configuration setup. Bare metal clouds provide the same degree of elasticity to bare metal devices. With OpenStack, for example, you can spawn a new bare metal device just as you would provision any other VM. The development would reduce one of the last remaining barriers for bringing mission critical applications to the cloud. OpenStack as an Innovation Accelerator - Many items on the list of disruptive technologies that I listed above are not that new, and to a certain degree, have existed for years, like in the case of Linux Container. Often, a disruptive force needs to gain certain critical mass before it can break into massive adoption. OpenStack creates an ecosystem that provides a platform for many users to integrate new technologies in a way that could be consumed by end users immediately and that plays a major role in the acceleration of adoption of many of those disruptive technologies. Big Data and the Cloud Application Orchestration - Big Data analytics for operational information could serve as the new "brain" behind a new class of orchestration engine that would combine artificial intelligence decision-making based on trends and historical analysis and handle complex failure and scaling scenarios automatically. Putting Network and Applications together - Putting network and applications together holds a lot of promise in the way we scale applications across regions and multiple sites, as well as how we control application SLA's in a shared environment. For example, giving priority to customer-facing services versus batch analytics or optimizing the network routing based on the locality of the data, etc. OpenStack was first announced three years ago at the OSCON conference in Portland. I remember the first time I heard about the announcement and how it immediately caught my attention. Ever since that day, I have become a strong advocate of the technology. Looking back, I thought that it would be interesting to analyze why. Is it the fact that it's an open source cloud? Well partially, but that couldn't be the main reason. OpenStack was not the first open source cloud initiative; we had Eucalyptus, then later Cloud.com and other open source cloud initiatives before OpenStack emerged. There were two main elements missing from these previous open source cloud initiatives: the companies behind the initiatives and the commitment to a true open movement. It was clear to me that a true open source cloud movement could not turn into an industry movement, and thus meet its true potential if it was led by startups. In addition, the fact that companies whose businesses run cloud services, such as Rackspace, brought its own experience in the field and a large scale consumer of such infrastructure such as NASA, gave OpenStack a much better starting point. Also, knowing some of the main individuals behind the initiatives and their commitment to the Open Cloud made me feel much more confident that the OpenStack project would have a much higher chance for success than its predecessors. Indeed, after three years, it is now clear that the game is essentially over and it is apparent who is going to win the open source cloud war. I'm happy to say that I also had my own little share in spreading the word by advocating the OpenStack movement in our own local community which also grew extremely quickly over the past two years. Paul Holland, an Executive Program Manager for Cloud at HP, gave an excellent talk during the last OpenStack Summit, comparing the founding of the OpenStack Foundation to the establishment of the United States. Paul drew interesting parallelization between the factors that brought a group of thirteen individual states to unite and become the empire of today, with that of OpenStack. Paul also drew an interesting comparison between the role of the common currency that fostered the open market and trade between the different states with its OpenStack equivalent: APIs, common language, processes, etc. Today, we take those things for granted, but the reality is that common currency isn't yet trivial in many countries even today, yet we cannot imagine what our global economy would look like without the Dollar as a common currency or English as a common language, even if they have not been explicitly chosen as such by all countries. As individuals, we often tend to gloss over the details of the Foundation and its governing body, but it is those details that make OpenStack an industry movement that has brought many large companies, such as Red Hat, HP, IBM, Rackspace and many others (57 in total as of today), to collaborate and contribute to a common project as noted in this report. Also, the fact that the number of individual developers has been growing steadily year after year is another strong indication of the real movement that this project has created. OpenStack essentially started as the open source alternative to Amazon AWS. 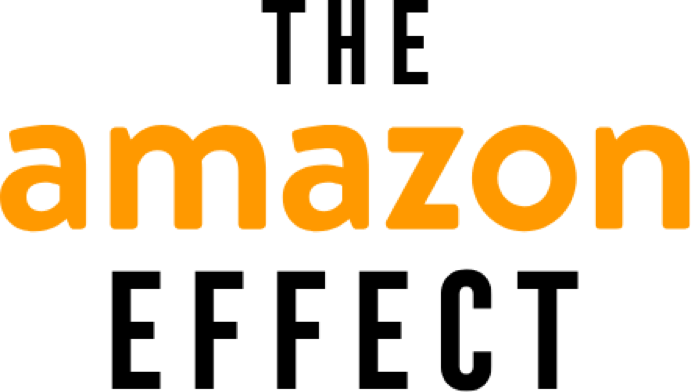 Many of the sub-projects often began as Amazon equivalents. Today, we are starting to see projects with a new level of innovation that do not have any AWS equivalent. The most notable one IMHO is the Neutron (network) and BareMetal projects. Both have huge potential to disrupt how we think about cloud infrastructure. We often tend to compare OpenStack with other clouds on a feature-to-feature basis. Run the same infrastructure on private and public clouds. Work with multiple cloud providers; have more than one OpenStack-compatible cloud provider with which to work. Plug in different HW as cloud platforms for private clouds from different vendors, such as HP, IBM, Dell, Cisco, or use pre-packaged OpenStack distributions, such as the one from Ubuntu, Redhat, Piston etc. Choose your infrastructure of choice for storage, network etc, assuming that many of the devices come with OpenStack-supported plug-ins. All this can be done only on OpenStack; not just because it is open source, but primarily because of the level of adoption of OpenStack that has made it the de-facto industry standard. When cloud first came into the world, it was common to look at the stack from a three-layer approach: IaaS, PaaS and SaaS. Typically, when we designed each of the layers, we looked at the other layers as *black-boxes* and often had to create parallel stacks within each layer to manage security, metering, high availability etc. The fact that OpenStack is an open source infrastructure allows us to break the wall between those layers and re-think where we draw the line. For example, when we design our PaaS on OpenStack, there is no reason why we wouldn't reuse the same security, metering, messaging and provisioning that is used to manage our infrastructure. The result is a much thinner and potentially more efficient foundation across all the layers that is easier to maintain. The new Heat project and Ceilometer in OpenStack are already starting to take steps in this direction and are, therefore, becoming some of the most active projects in the upcoming Havana release of OpenStack. Personally, I think that the world with OpenStack is by far healthier and brighter for the entire industry, as opposed to a world in which we are dependent on one or two major cloud providers, regardless of how good of a job they may or may not do. There are still many challenges ahead in turning all this into a reality and we are still at the beginning. The good news, though, is that there is a lot of room for contribution and, as I’ve witnessed myself, everyone can help shape this new world that we are creating. To mark OpenStack’s 3rd Birthday, there will be a variety of birthday celebrations taking place around the world. At the upcoming OSCON event in Portland from July 22-26, OpenStack will host their official birthday party on July 24th. There will also be a celebration in Israel on the 21st, marking the occasion in Tel Aviv. For more information about the Foundation’s birthday celebrations, visit their website at www.openstack.org.